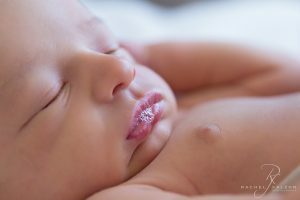 What a pleasure it was to capture little Marco’s newborn photos recently. 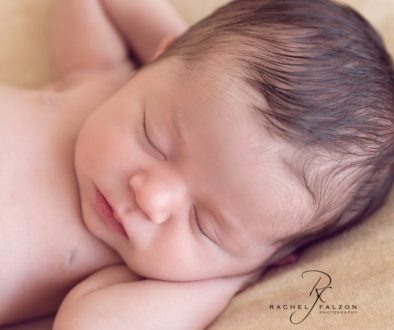 At just 10 days old, Marco was all squishy, new and absolutely perfect. 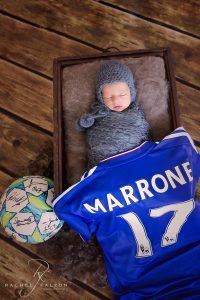 Marco is his parents’ Melissa and Joe’s first child. 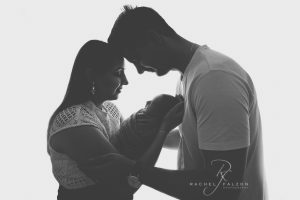 The pride and love they have for their son was evident from the moment they walked through my studio doors – I even got a little teary when shooting their first family portraits as I could see in their eyes and the way they held their son just how very in love with him they are. I love creating beautiful setups for my clients and Marco’s parents, Melissa and Joe, opted for a neutral palette. I do love my neutrals – they are so timeless and the images will always be a joy to look back on without any cringing! 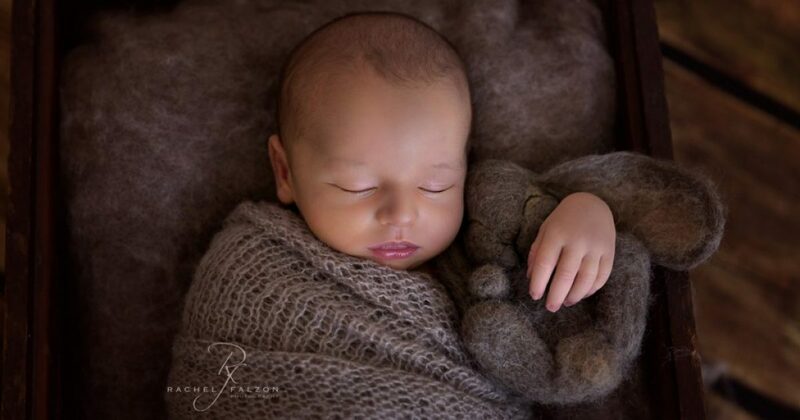 One of the best parts of this job is knowing you are creating someone’s first portraits; it is such an honour. To top it off, it was Marco’s Daddy’s birthday on the day of his session and they got to spend lots of lovely snuggly time together. Joe is a big soccer fan and brought along a special soccer ball to the session. To say I was nervous about the ball is an understatement – it usually spends its days safely locked away in a glass cabinet! – but creating memories with such a significant piece is really special. Marco was wonderful throughout his session. 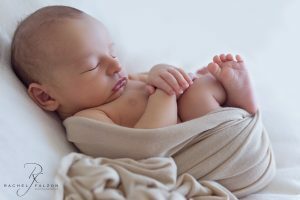 The studio was lovely and warm, with a baby shusher noise to keep Marco comfortable and relaxed throughout his newborn photos, which meant I was able to capture some gorgeous memories for his parents. He even blew some bubbles for me! I love it when babies blow bubbles for me! Congratulations, Melissa and Joe, on the safe arrival of little Marco – he is divine and so very blessed to have been born into such a loving family. 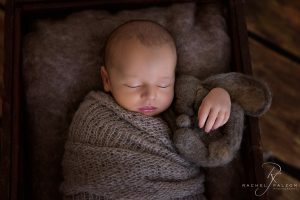 This was a beautiful, timeless newborn session with heirloom images that Marco’s parents and their family are sure to treasure forever. 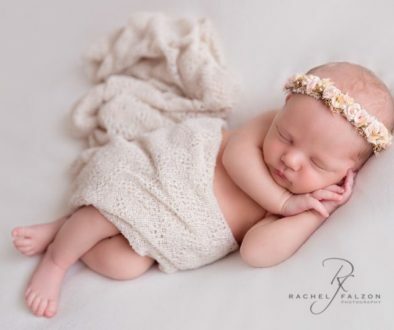 Are you in search of newborn photos? I’d love to help. 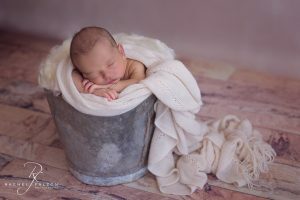 You can see my newborn gallery for more examples of my work or find out more about my newborn photo sessions. Please also feel free to send me an email at rachel@rachelfalzonphotography.com.au if you have any questions or would like to book your session. You can follow my work on Facebook or Instagram.